Whether you’re hosting or just have to bring a dish, ditch the basic chips and dip and take the party up a notch with these easy appetizers. We even included options for those with dietary restrictions such as paleo, gluten-free, vegetarian and vegan. Wing lovers everywhere will rejoice at the perfect sweet and spicy flavor these wings bring to the table. These can be made in both small or large quantities; perfect for any size party. 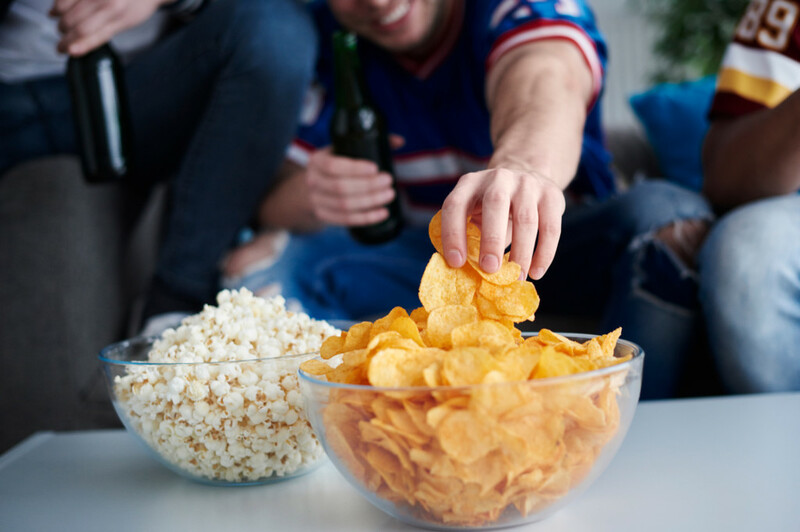 If you’re still going strong on those resolutions, you’ll be guilt-free munching on these during the game. Made with 6 healthy, whole ingredients, you can enjoy the flavor of unhealthy finger foods and feel good while doing it. Potato skins with a twist! A build your own potato skin bar is a great way to switch it up and offer something a little different. They’re also vegan and vegetarian friendly, which is always a plus. Have fun toppings available for everyone to make their own unique dish! Everyone loves a good slice of pizza. These fun pizza rolls make eating pizza even easier than carrying around a slice. If you’re a Ranch dipper, this is perfect for you. A unique take on the ever-popular jalapeno popper. These poppers are quick and easy; a perfect last minute dish.